"We Are Very Grateful For Your Support And Raised A Grand Total Of $2137 For 9 Lives Orphanage." Wonderful, Stretchy Yoga With Beautiful Rescue Kittens Running Free, All For Charity! 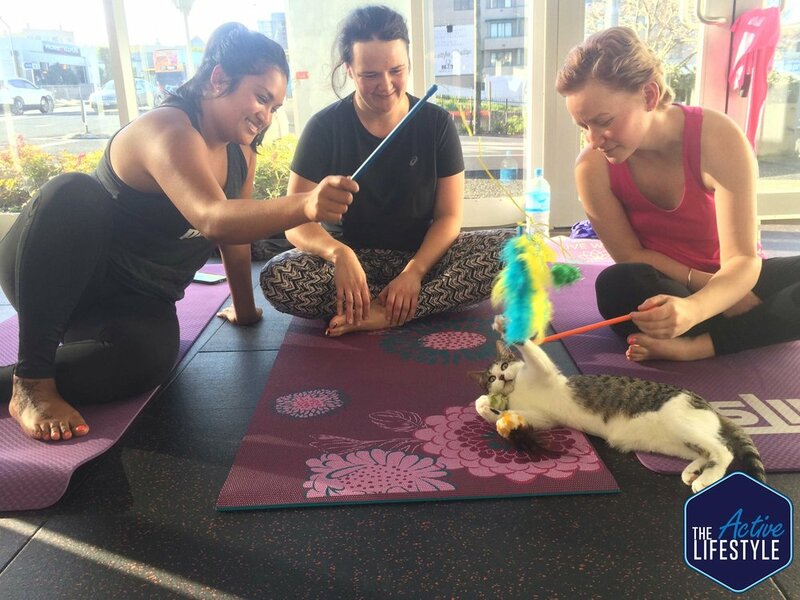 Sign Up To Be Notified Of Our Next Yoga With Kittens Event So You Don't Miss Out On These Limited Tickets. A stretchy, meditative, feel good 45 minute Yoga class led by Amber Cloney gives you some much needed YOU time while you indulge in the wonderful, cute, rescue kittens roaming around the studio. Enter your email address below to get notified of the next Yoga With Kittens event + priority access to tickets!